Have you dreamed of a space to unwind and decompress during the summer? 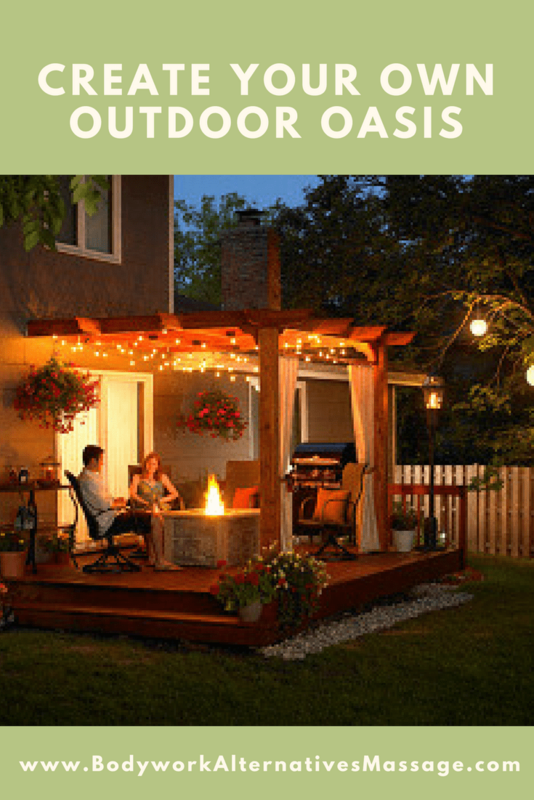 You can create your own outdoor oasis by following just a few of these tips. We’ve collected pictures of a few spaces to inspire you to create a great space to enjoy. What is it about lights and the way they make a space seem so inviting. 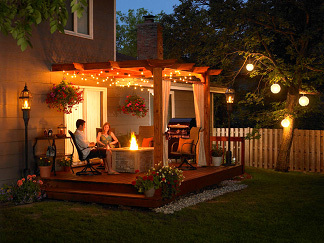 Simply add some stringed lights and tiki torches to your patio to create a space to unwind in the evening hours. Simply add some colorful pillows and cushions to your furniture on the deck or patio to create a more inviting and relaxing space. 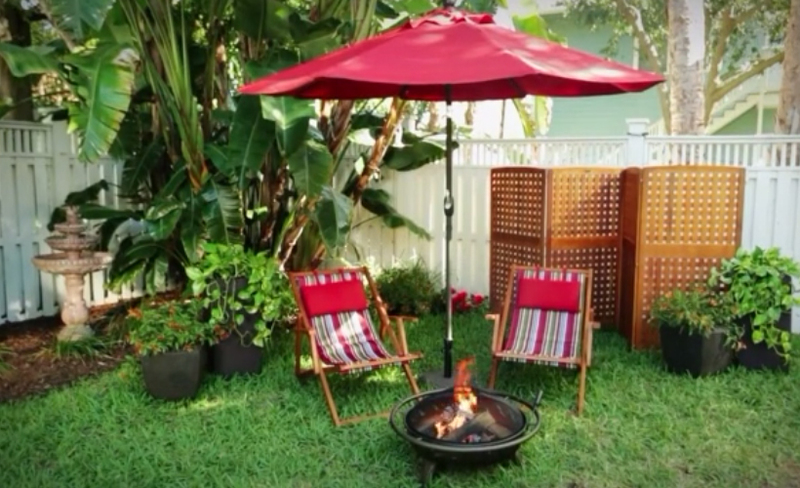 Create your own private sanctuary in the corner of your yard. This idea is simple with a few pieces of lawn furniture, potted plants and screen for decor and privacy. Can you imagine relaxing with the feel of grass beneath your feet? Consider adding a water element like this adorable miniature personal spa. 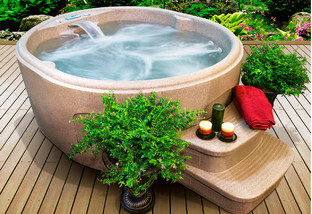 But if a spa isn’t your thing, you could add a fountain or pond to enjoy. How have you created a Stress Free Space: Outdoor Oasis of your own?